Extreme Poker Tour! - Your poker source for weekly games in Georgia, Alabama, and Florida! Monthly, quarterly, regional, as well as weekly tournaments! If you're ready to take your seat at the table then Extreme Poker Tour is the place to be for all the most exciting tournaments and venues! We currently have weekly games running in Georgia, Alabama and Florida with new venues added all the time. In addition to our weekly games, Extreme Poker Tour partners with our location venues to provide monthly, quarterly and regional tournaments. All Extreme Poker Tour tournaments are No-Limit Texas Hold’em! Are you ready to get in on the action? Are you prepared to pit your poker skills against others in your area? Signing up is easy, fast and FREE! Need MORE poker in your life? Extreme Poker Tour is proud to introduce Carbon Poker as it's Exclusive online sponsor! Carbon Poker offers special benefits and offers to EPT members. Sign up for Carbon Poker and update your EPT member profile TODAY! Click HERE read all about them. Check out some of the highlights below! Exclusive weekly Sunday night tournaments at 8pm(EST) for EPT “only” players! This tournament will require a buy-in of $5.50 and will payout based on number of participants. There will also be re-buys in the weekly tournaments which will increase the prize pool and make this tournament even more attractive.The weekly Sunday night online tournaments will start Sunday, September 28th. Carbon Poker will also give you a 200% sign-up bonus for your first deposit up to $600.00 using code: EXTREMEBONUS600! Please make sure you get registered and also update your EPT profile to reflect your Carbon Poker Username in the designated fields as this information will be needed when issuing invites for the monthly freerolls. 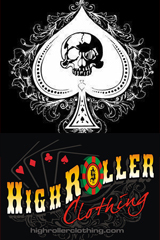 Monthly $2,000 freeroll tournaments exclusively for Extreme Poker Tour players!